Maybe due to environmental factors, maybe due to stress, and maybe due to personal chemical imbalances, but growing up, I always had terrible skin. Acne-scarring, hyperpigmentation, textured skin, big pores, sometimes even keloid scars--you name it, I had it. Something I promised myself was that when I became an adult and could afford better than drugstore products, I'd make it a mission to find the perfect recipe for my skin. The SK-II line always stuck out to me. I was first introduced to it by my own mother. 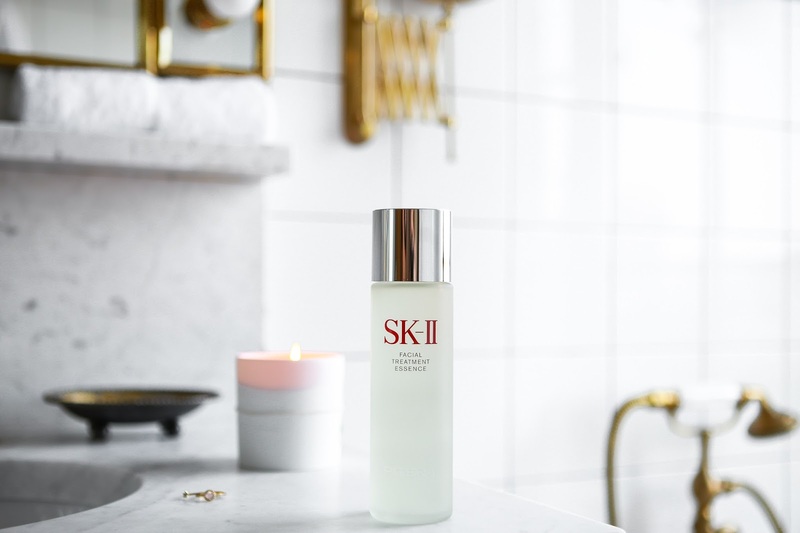 Renowned for her youthful, glowing, radiant skin that always made her look 15 years younger than her age, she entrusted the vitality of her skin to SK-II. I fondly remember being enraptured watching her go through the meticulous steps--the sound of the light pats of Facial Treatment Essence on her face and neck and the specific scent of her skincare routine lingered in the air. Now, as an adult, I want to take after my mother. After each bottle, she'd exclaim in wonder at the results--she always said it was "better than a facelift". I've personally watched her face smooth over and her sunspots clear after her first bottle. I've modeled my skincare routine after hers and I've seen absolutely drastic results. I may not have acne anymore, but the damage from years of skin turmoil remain. 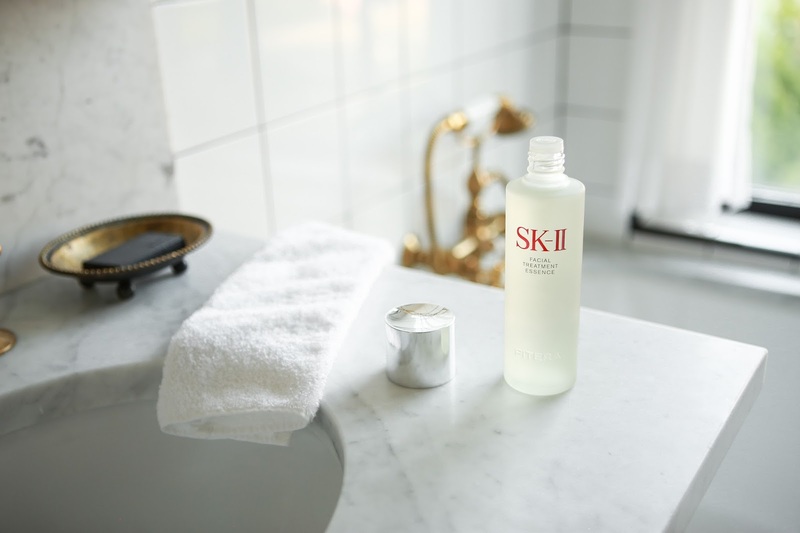 SK-II's Facial Treatment Essence evened my skin tone, lightened my unsightly acne scars, and even smoothed my skin to the point where it didn't feel textured anymore. The difference this product makes is noticeable both when I am bare-faced and with makeup, too. Makeup now goes on infinitely smoother, with no strange bumps or large pores to settle into. There's much less "separation" of my makeup at the end of the day. My skin looks and feels amazing all day, in all ways. With more than 90% Pitera, Facial Treatment Essence is known as "miracle water" for its skin-renewing properties. I know firsthand what it's like to not feel comfortable in your own skin. Your face is what people see first, and when it's not in tip-top condition, sometimes you just feel like hiding away. SK-II's Facial Treatment Essence gave me the confidence to face the world. I can't recommend it enough. We're just #OneBottleAwayFrom putting our best faces forward. Check out SK-II's Facial Treatment Essence for yourself here. Girl, me too. I feel ya. I used to beg my coworkers for samples of SK-II when I used to work in skincare! They're AMAZING! I need to stock up on samples when this runs out. They're valuable AF! As a teenager I never cared about my skin but as I've gotten older I've become obsessed with skincare. I'm always trying new things and looking for the right fit. I'm definitely going to give this a try, hopefully it will help my ridiculously dry skin. Anything dubbed "miracle water" is worth a try in my book. Oooo I have heard such great things about these guys! And I've always been curious to try. I appreciate your candid review! Also, these photos are friggin gorgeous lady! These photos are beautiful! I am definitely gonna try this now, been wanting to for a while but you confirmed it! Thank you so much, and good luck on your journey! Ahh this is my holy grail! First of, your bathroom is beautiful! haha But I love how you found this product from your mom. Mine has never been to into beauty products but the few things she has recommend for me, are the best! I never even thought to ask my friends what their moms love, this totally makes me want to ask now! I am using it and very satisfied with it. I have seen the result on Eugenie's skin as well. SKII earns it's reputation, it is a great beauty product. Interesting article I haven't tried this product yet! I do like SK-II's Essential Power Rich Cream from b-glowing though. I love SK-II products, especially the face mask from b-glowing. I have not tried this product of theirs yet but I definitely will be in the future! Great article! BTW jealous of your dream tub! I'm noot sure why but this site is loading extremely slow for me.